I badly missed a bedside light in the room. Neither was there a alarm clock/radio. There was no towel rail in bathroom. I understand that the present owner or manager has only been there a fortnight and is attending to these items. Where to find Pemberton hotels near an airport? 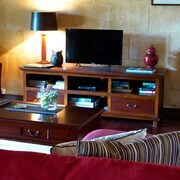 Where can I find hotels in Pemberton that are near tourist attractions? 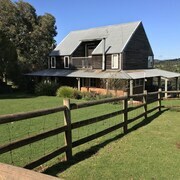 Arranging some time in Manjimup and would like to stay in central Pemberton? About 8 hotels and apartments can be found within a 0.1-kilometre (0.06-mile) distance of Pemberton's center. Within a 1-kilometre (0.6-mile) radius of Pemberton's downtown, you can choose from a selection of hotels, including the Best Western Pemberton Hotel and Pemberton Old Picture Theatre Holiday Apartments. 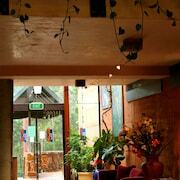 17 kilometres (11 miles) away from downtown Pemberton, is the Karri Valley Resort. 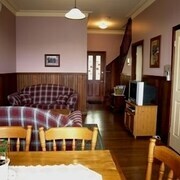 The Clover Cottage Country Retreat is positioned 25 kilometres (14 miles) away. 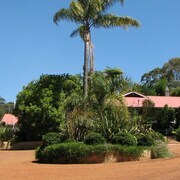 Some other accommodation options include the Treenbrook Cottages and the Karri Forest Motel. The larger Southwest area is definitely well worth seeing as well. Southwest is known for rural landscapes, beaches, cliffs and rolling hills. Commonly visited Southwest visitor destinations include history museums and open-air exhibits. In this part of Australia tourists might also try their hand at mountain biking, rock climbing and hiking. 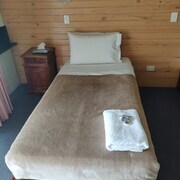 Positioned 7 kilometres (4 miles) to the northwest of Pemberton is Channybearup, which boasts various hotels and apartments. 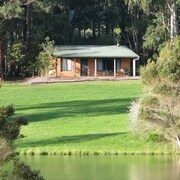 The Rainbow Trail Chalets and Big Brook Cottages are a selection of the options here. Brusselton Airport is a nearby airport for flying into Pemberton. It is 100 kilometres (64 miles) drive away. 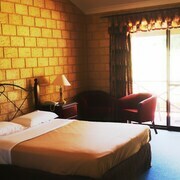 If you choose to stay nearby, try the Busselton Guest House or Inn the Tuarts Guest Lodge Busselton. What are the most popular Pemberton hotels? Are there hotels in other cities near Pemberton? What other types of accommodations are available in Pemberton? Explore Pemberton with Expedia.ca’s Travel Guides to find the best flights, cars, holiday packages and more!